Helps shield your computer, networking and telecom equipment from surges, spikes and line noise. Isolated filter banks help minimize interference between connected equipment. 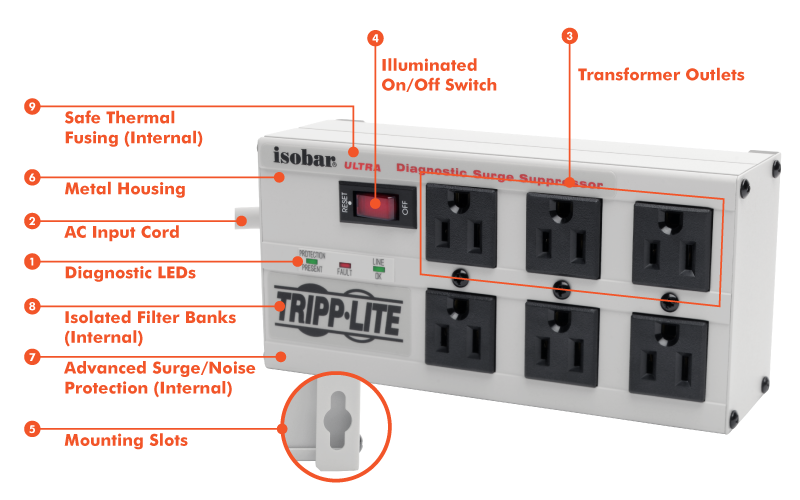 Outlets are widely spaced to accommodate large, transformer-style plugs without blocking other outlets. LED indicator lights alert you to potential problems. Includes 4 outlet safety covers. 6' cord for convenient placement options. 3330-joule surge protection rating – More joules mean more protection!